A selection of articles highlighting Cogeco Peer 1’s activity over the last year on our site. At the end of this pagebook, you’ll find relevant metrics including time on site and the number of visitors. A selection of articles highlighting Cogeco Peer 1's activity over the last year. One of the biggest reservations CIOs have to cloud services is security, which is why so many insist on keeping certain data behind the corporate firewall. Microsoft’s way to meet that for its Azure cloud services is to offer what it calls ExpressRoute, which creates a private connection between Microsoft datacenters and infrastructure on a customer’s premise or in a co-location facility. The latest Canadian provider to offer that service is Cogeco Peer1, the data centre arm of Montreal-based cableco Cogeco Communications. “Instead of going to the public Internet for Azure, organizations can use our private managed and secure fibre network, said Bertrand Labelle, the company’s vice-president of marketing. Cogeco Peer 1 has 17 data centers and more than 50 points-of-presence in North America and Europe. Its network reaches 1,800 buildings in Ontario and Quebec. The provider began reselling Azure, Office 365 and other Microsoft services in June. The ExpressRoute service allows customers to directly connect to them. ExpressRoute is being offered as another alternative for organizations that want to support mission-critical Microsoft business applications, including data backup and recovery, Labelle said. His said company’s fibre network also offers higher throughput and lower latency connectivity to the Microsoft cloud –including the upcoming Microsoft Dynamics 365 offerings — than through the public Internet. Labelle didn’t have pricing details but said Microsoft sets the pricing for ExpressRoute, while Cogeco offers integration services. Target customers are organizations that already subscribe to Office 365 or other Azure services, and companies that need a direct connection to Cogeco Peer 1 data centres. Other Canadian ExpressRoute providers are Cologix Inc. in Montreal and Toronto, and Zayo Group in Toronto. In March Microsoft announced it was expanding its data centres in Toronto and Quebec City so it could offer Azure services here for CIOs in the public and private sectors concerned about data residency. Cogeco Peer 1 was created by the 2012 acquisition of Peer 1 Networks. Digital transformation is no small task, and Cogeco Peer 1 is hoping to reduce the complexity of the process. The Toronto-based company is expanding its multi-protocol label switching (MPLS) connectivity services, a solution that can help reduce the IT complexities of digital transformation for businesses, to customers in the U.S. and Europe. Cogeco Peer 1’s MPLS technology allows its customers around the world to build a secure and private “any-to-any” network that connects multiple locations with the lowest latency routes. With a fully managed and diverse network of over 48,000 kilometres of fibre routes, businesses with multiple locations in multiple countries can easily leverage the power of MPLS. As a result, MPLS is a flexible and easy to administer solution that is “ideal for organizations in the midst of a digital transformation and looking to reduce costs, improve network security, optimize efficiency and become more agile,” Cogeco Peer 1 says. It can securely transmit business applications and data over a single network access, with an option for either Ethernet or IP VPN services. Cogeco Peer 1 has a new Canadian general manager. The global provider of enterprise IT products and services has announced the appointment of Jaime Leverton to the role of vice president and general manager for Canada and Asia-Pacific (APAC). She will be responsible for creating and driving revenue programs in these regions, and oversea sales, customer management, and the delivery of Cogeco’s full suite of information communication technology (ICT) solutions to medium and enterprise customers. Cogeco’s Asia-Pacific office is in Vancouver and offers support in Mandarin, among other languages, which Leverton says helps when forming partnerships and attending to customers in the region. She also adds that she has a “strong background” in the channel, and will be looking to grow that stream of revenue. “The channel will certainly be an area of focus for me. I really believe in the value of the channel and partnerships for growing a business – we need to have all routes to market lit up and engaged,” she explains. 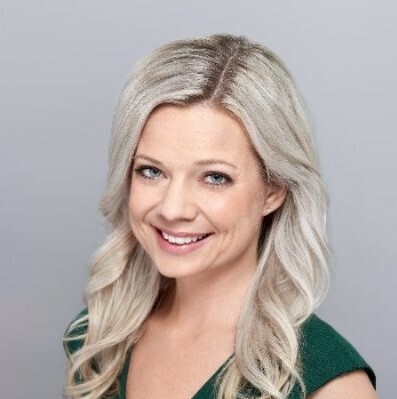 “Her wealth of business experience will re-energize Cogeco Peer 1’s growth objective to substantially expand our existing business and develop new indirect sales strategies through a network of partners,” Jetté adds. Leverton has worked in various executive roles with National Bank, BlackBerry, Bell Canada, and IBM Canada over the last 15-plus years, which has helped grow her knowledge in tech solutions. She has a master’s of business administration and marketing informatics from Dalhousie University in Nova Scotia, and a bachelor of arts, psychology, and political science from the University of Ottawa. In addition to the new hire, Cogeco Peer 1 is introducing a new centralized and secure Partner Portal for “partner management, deal registration, marketing and sales enablement, product and technical resources,” the company says. It has also launched three new Partner Programs (detailed below), which were developed using the input of Cogeco’s partners, to boost their respective bottom lines and support their clients. Service provider Cogeco Peer 1 has expanded its distributed denial of service (DDoS) products with the addition of web application protection. Called AppArmor, it helps block application-layer (Layer 7) attacks that exploits weaknesses in an application or server, with the goal of establishing a connection to monopolize processes and transactions. DDoS attacks involve the harnessing of thousands of devices — PCs, servers or Internet of Things devices such as security cameras — to ping a target system enough times to cause it to crash. Motives range from hactivism to blackmail. Among the biggest were the 2016 attacks against American managed DNS provider Dyn. Inc. and against U.S. cyber security reporter Brian Krebs. In this country victims included a company providing education tests for the Ontario government. Cogeco Peer 1 that paired with its DDoS Shield service, AppArmor customers will benefit from a cloud-based managed DDoS mitigation and Web Application Firewall (WAF) protection with unlimited protection, with multiple geographically dispersed DDoS mitigation centers offering 1Tbps total capacity. Detection and mitigation of Layer 3 (network), Layer 4 (transport) and Layer 7 DDoS attacks are covered. In a statement the company said that most traditional DDoS mitigation options rely on building GRE tunnels to deliver clean traffic to the protected server. Cogeco Peer 1’s solution directly performs all routing functionality across its backbone between its scrubbing centers and the customer’s protected service. This avoids any issues that can be caused by MTU limitations imposed by GRE tunnels and their impact on protocols such as SSL, it says. The result, says the company, to increased reliability, higher availability and no latency. It also has an AI-based threat intelligence capability which the company says cuts the WAF learning method down to one week, instead of the normal two-week period it says is offered by most WAFs in the market. AppArmor can also be configured for data residency compliance and integration with content delivery networks and/or system in security information management (SIEM) systems. The company says AppArmor is priced mainly on the incoming web traffic in a subscription tiered service. Tiers start with Express-10 service, a self-service package offering limited DDoS and WAF protection. For organizations that need, more there are several tiers running from the Enterprise-25 (25 Mbps of incoming web traffic) and to the Enterprise-1000 (1Gbps of incoming web traffic), all offering fully featured customizable WAF rule sets (250+ to begin with), unlimited DDoS protection, and customer portal offering visibility into the application layer of the customer’s traffic. Cogeco Peer 1 is a wholly-owned subsidiary of Cogeco Communications Inc., a major cable provider in Quebec and Ontario. It bought Vancouver-based Peer 1 Networks in 2012 to expand its data centre offerings. If you know about blockchain at all, you likely think about it in connection with Bitcoin or 99 of the other digital currencies competing just below the horizon for a share of commerce. It is at the heart of distributed ledger technology that allows for secure and verifiable digital transfer of “value” between individuals or organizations. It has been around since 1995, but only found its way into the public lexicon in 2008 in association with the launch of Bitcoin. It has continued to be the focus of interest as startups – and big companies looking at disruptive forces on the horizon – try to determine its potential. Two speakers attending a recent CIO Summit, hosted by IT World Canada and sponsored by Cogeco Peer 1, presented an expanded view of blockchain, suggesting with a little time and effort it could be far more than an enabler for digital currency. Describing the technology to a Google document where all previous transactions are verifiable, he suggested blockchain, with some clever RFID tags, could disrupt the way titles are searched on property, how art is authenticated or how high-value counterfeit sporting items can be detected. It could also be invaluable for multi-signature transactions and the creation of “smart” contracts. Alan Wunsche, a founder of Blockchain Canada, said during another summit session that in the same way the Internet made email easy, blockchain will simplify and secure all trust transactions. He explained Blockchain Canada was created on the premise that blockchains have the potential to transform financial, social and governance systems and it is critical to have open conversations about the use of the technology to build Canada as a leader in blockchain technology. Canada should seek a leadership role because distributed ledger technology is fast, creates flat systems with little overhead, involves few fees and is resilient to attack. With each blockchain message containing the history of all the previous messages, Mougayar said it’s not hard to see how the system is useful for validating the authenticity of almost anything. He added the security is unimpeachable because the information is backed up every 10 minutes on 6,000 computers around the globe. If you were inclined, you might be able to change the information in the data bases of a few computers, but he said an attack on data in 6,000 disparate computers in a 10-minute time frame is highly unlikely. There will always be one copy of the original chain available. There are some 270 blockchain companies in the Fintech space right now. Both speakers agreed they won’t all make it, but some will emerge and become big companies. In response to a question, Mougayar suggested that within a decade five to 10 per cent of GDP could be based on blockchain-enabled cryptocurrencies. To get to that kind of outcome, Wunsche believes business leaders need to begin experimenting with it at the personal level. To that end, he offered $1 worth of Bitcoin to each of the 25 CIOs in the audience willing to download an app to create a digital wallet. In October 2016 one Bitcoin was worth $802 Canadian dollars, so each executive was transferred a fraction of a coin. From a regulatory perspective, the Summit speakers agreed some rules are required but they cautioned against intervention that would smother innovation and prevent fledgling opportunities to take flight. “There are 200 financial regulators, more than there are flavours of ice cream. If every one of them had their own set of regulations, it would be way too confusing,” said Mougayar. Britain and Europe appear to be the most welcoming when it comes to blockchain and fintech regulation. Ironically, California and New York, the areas with the greatest blockchain talent, have been ranked as the least regulatory friendly out of seven global centers. There are at least 18 quality third party data centre providers in Canada, with no sign that the number or their size is getting smaller, according to a new report from IDC Canada. However, CIOs and information technology managers may find details about particular providers will be more or less important to them depending on their environments. “It’s a very, very competitive market,” Schrutt said. And the competition is about to get stiffer with the promise by Amazon and Microsoft to open data centres here. For example, Telus has partnered with Amazon Web Services, Rogers is partnering with OVH for cloud services, Cogeco is partnering with Microsoft’s Azure, and Bell has adopted IBM’s SoftLayer service. As a result some have dropped their internally developed services to focus on core competencies. Over the past three years, Canada has seen a build out of over one million square feet of data centre space, and well in excess of 100MW of power added to the market, the report says. Meanwhile, over the past 24 months, the needs of a data centre have continued to increase. Data generated from corporate systems, mobile devices, and IoT networks continue to grow at a pace of 50 per cent a year. Digital technologies such as analytics, social business platforms, and high performance computing put an ever increasing stress on the best-in-class data centres. Overall, IT spending on internal data centre continues to decrease, the report notes, with Schrutt estimating in the interview the percentage of budgets going to outsourcing (co-location, managed hosting, cloud or a combination) goes up two per cent every two years. In fact IDC calculates internal data centre floor space has shrunk by 7.5 per cent since 2014. The report lists IBM, Telus, Hewlett-Packard Enterprise, Cogeco Peer 1, Q9, Rogers Communications, CenturyLink, Equinix and Quebec-based OVH in the Leaders category. Those counted as Major Players include SunGard, Bell Canada, Long View, Carbon60, CentriLogic, Cologix, Shaw Communications, 4Degrees (owned by Quebec cableco Videotron) and TeraGo. As in the past, the insistence of organizations that their data stay within this country’s borders is a prime reason why third party data centres here continue to grow, particularly those that aren’t ready to move to the cloud. The report also mentions when surveyed IT leaders say they want in a provider is, “good quality cost-effective delivery of services – which, Shurtt added, “you could say about anything.” But service levels, reputation and how close the data centre is to the customer are also important factors for some. Most of the names are well-known, but some are newcomers. OVH, for example, has expanded tremendously since it bought property from miner Rio Tinto Alcan outside of Montreal in 2013 to serve North America. Schrutt believes it’s the largest data centre of any commercial provider in the country.